What kind of screws do I use to hang cabinets? What kind of screws do I use to hang cabinets, knowing that some will go into joists and other into drywall only? For it to look nice, I'd like the screws to look the same from inside the cabinet, but what do I use? Visit your local Home Depot and ask for Cabinet Screws, the are designed specifically for installing cabinets.They have a large washer head for appearance and strength and will look attractive installed. You can purchase plain or painted versions to match your cabinets. For hanging cabinet use 3 1/2 inch screws set directly into the studs, For screwing the cabinet bodies together use 1 1/2 or 2 1/2 inch screws depending upon the thickness of the cabinet body and if they have face frames or not. Thank you for the info. What about when there is no stud? I have a couple of 12" cabinets that have no stud behind them and some of my 24" cabinets only have one stud behind them. I'd like to secure them as well with two columns of screws. So, I am thinking of putting the cabinets in place, drilling pilot holes. then removing the cabinets, putting in drywall anchors, then putting the cabinets back up and put screws into the anchors and cabinet screws into the studs. However, I cant find a single screw what will do both jobs or will look the same. Wall studs are 14 inches on center, so your 24 inch cabinet should have two studs behind it. Use a stud finder to locate them. 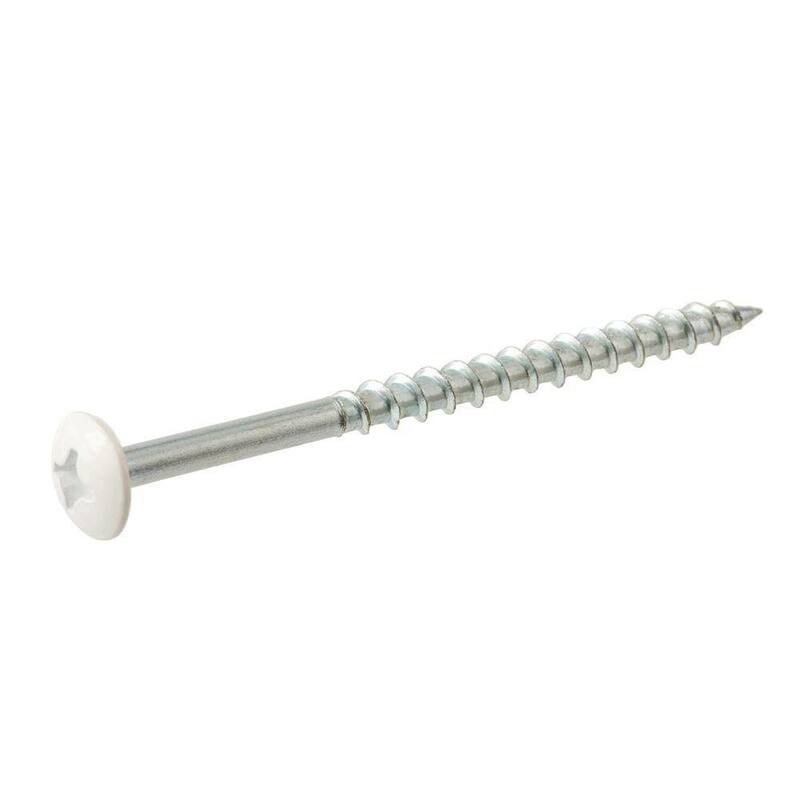 Cabinet screws come in varying lengths, and can be used with anchors. On the walls with no studs, I would remove the drywall and install a horizontal cross piece to mount the cabinet to. This can be a 2x 4 attached to the adjoining studs. Insert the cross piece near the top of the cabinet, this is where the cabinets mounting cleat is located. Simply cut out the drywall install the support and replace the drywall. The cabinet will cover the hole so refinishing the wall is unnecessary, just mud over the joint and sand it smooth. Mounting cabinets to drywall with wall anchors is not a method I would recommend, the anchors can pull out of the wall too easily if there is a lot of weight in the cabinet.